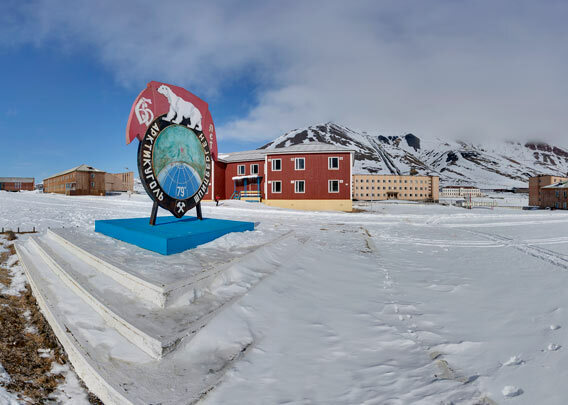 This area in central Pyramiden is the Prospekt (проспект) or Avenue. It was a meadow of grasses from Siberia, where only children and reindeer were allowed to roam until the settlement was abandoned in 1998. Even today, some of the local guides will quickly call tourists back to the road if they venture offroad to take pictures. The sign of the mining company Trust Arktikugol and of course Lenin are amongst Pyramiden’s most popular photo objects.